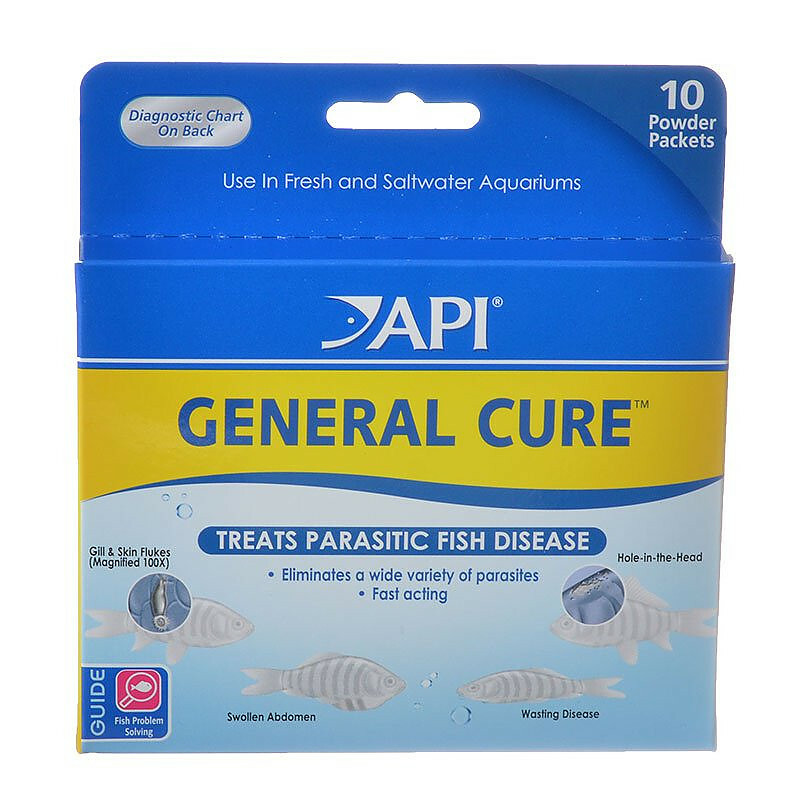 API General Cure Powder is an anti-parasitic remedy that treats a wide variety of parasitic diseases including velvet, anchor worm, fish lice, hole-in-the-head disease, gill worms and dactylogyrus. 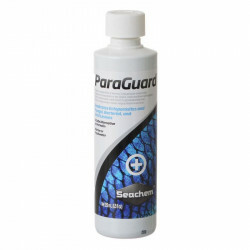 Safe for salt & freshwater tanks. 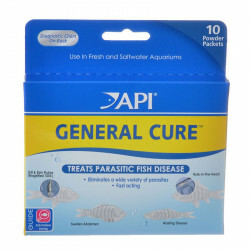 Rapidly treats a wide range of parasitic diseases. 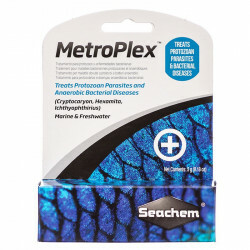 Directions: For best results, remove activated carbon or filter cartridge from filter and continue aeration. For each 10 gallons (38 L) of water, empty one packet directly into aquarium. Repeat dose after 48 hours. Wait another 48 hours then change 25% of the aquarium water and add fresh activated carbon or replace filter cartridge. 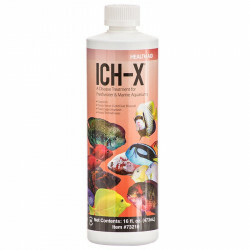 This package treats up to 100 gallons. Two doses required for full course of treatment.